Everyone knows that there's no actual seawater in saltwater taffy. So where exactly did that name come from? If legend is to be believed, it washed ashore with a high tide. Aside from a gullible few, everyone knows that there's no actual seawater in saltwater taffy. So where exactly did that name come from? If legend is to be believed, it all started with a very high tide. One stormy night in the 1880s, the ocean swelled over an Atlantic City boardwalk, drenching one candy shop's stock of taffy. When a little girl came in to buy some of the chewy treat the following morning, the shop owner—either sarcastically or good-naturedly—offered her "salt-water taffy." The name stuck. 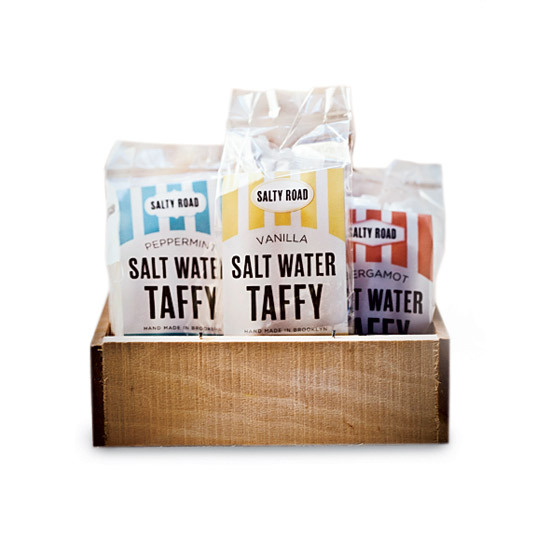 To this day, saltwater taffy is a boardwalk staple. For more summertime sweets, check out Food & Wine's ultimate candy guide.